Discussion in 'Motorola General Discussions' started by bkdodger, Apr 4, 2019. It's time to get a flagship Motorola phone.. Anyone agree? There have already been some leaked renders of the supposed Z4, and it looks a lot like the traditional Z series back with the round camera bump to hold Moto Mods. My guess is this phone would be the newest X series. 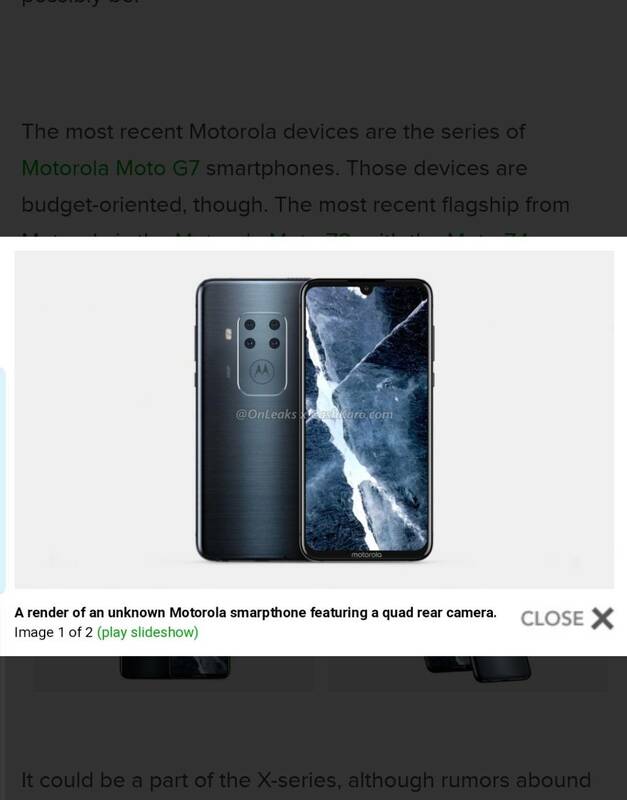 Maybe the Moto X5? The X4 was (is) a great phone, with mid range specs. A new Moto X with top specs would be nice. I really liked the first 2 Moto X phones, and still have a few. It would also be nice to see some new ingenious functionality built into the Moto app. Some cool new stuff. 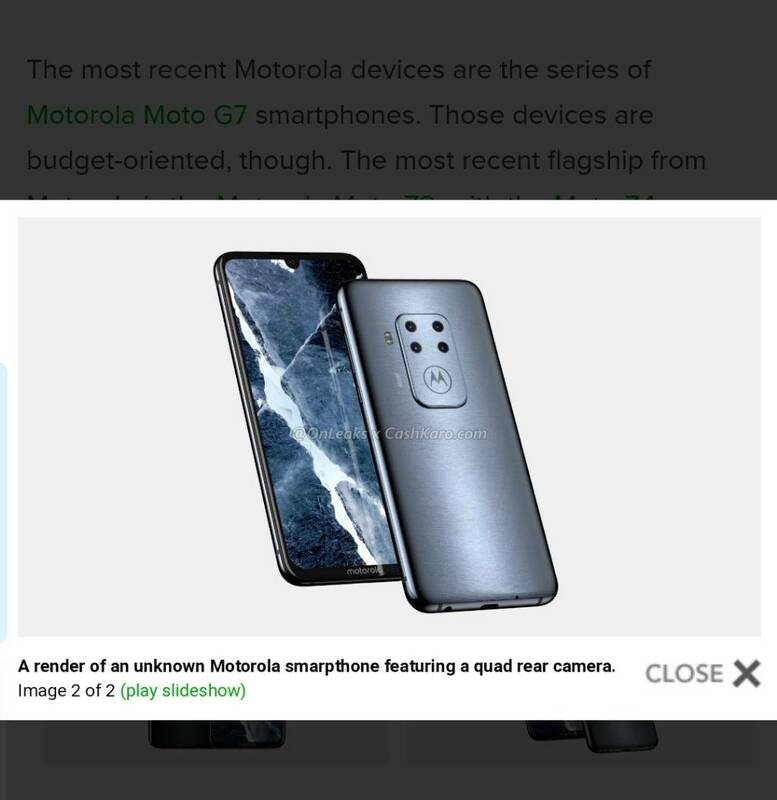 The phone in that pic kind of has a Moto X look to it. But then again, as I've said in other threads, all phones kind of start to look alike these days. I would love to see another Moto flagship to. I'm really disappointed with the lack of updates on my G7. If they came out with one and T-Mo carried it, I'd be all over it.